Around 100 war veterans have been guests of honour in a tour of the Portsmouth Historic Dockyard. The three day trip to Portsmouth was organised by Gary Belsey, chairman of The Taxi Charity for Military Veterans. 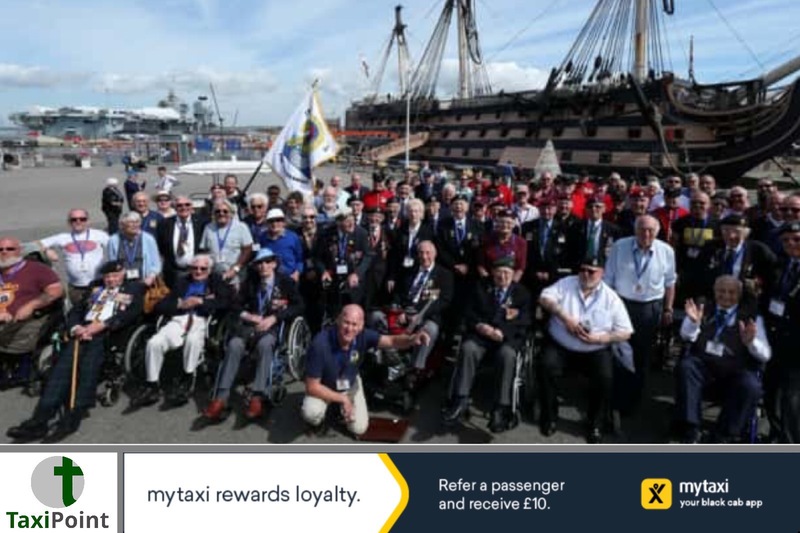 The volunteers from the London taxi driving industry, picked up the ex-servicemen from their homes and escorted the war heroes on the three day event. The veterans were made up of former soldiers, sailors and airmen, as well as Chelsea Pensioners in full regalia, conplete with medals. The ex-servicemen have also spent time at Portsmouth Naval Bases, St Anns Church, in memory of those who served on the Arctic Convoys during World War Two. It wasn't just World War Two veterans who took part in the trip, as ex-servicemen who served in conflicts such as Afghanistan were also in attendance. The trip also has a special significance to the charity as it marks its 70th year in operation taking veterans as far afield as the Netherlands and Normandy as well as sites in the UK.